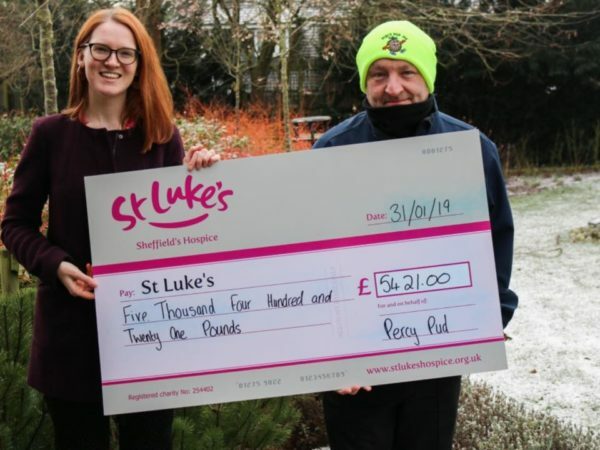 Steel City Striders is first and foremost a running club – but we are also committed to supporting charities and other good causes in and around Sheffield. We are in the very fortunate position of being able to do so financially by making donations to help the work of local organisations and groups. This is in good part a result of the income we receive from the events we organise – the Percy Pud 10k and the Salt Cellar Fell Race, in particular. We have helped a wide range of groups, and hope to be able to continue to do so. Our members are always welcome to suggest who we should help in this way. The majority of the donations in 2018/19 have come from the Percy Pud. This is in line with our general policy of donating a significant proportion of the race profits to local charities and causes. We donate the profits from the Salt Cellar fell race to Edale Mountain Rescue, in thanks for their support not only on race night but to the club and its members throughout the year.